You can also use the form below to contact us. Representation requests are considered by US mail only. Thank you. Shirley Kirshbaum founded the company Kirshbaum Associates in 1980. She established a reputation for distinguished and personalized Management and creative Public Relations and Marketing Consultants. She is privileged to work with a dedicated team, renowned leading artists, and exceptional new talents. Shirley has given arts related presentations, participated on panels, advised young musicians, has been an active member of industry organizations for decades, and served on the Board of Chamber Music America. 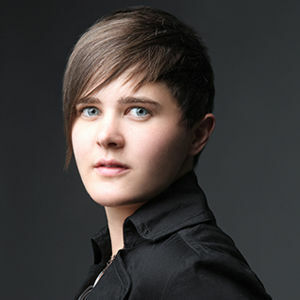 Born into a musical family, she graduated with honors in Piano Performance from the University of Texas at Austin. Her passion for classical music brought her to London where she began her career at Harold Holt and Ingpen and Williams before joining ICM Artists in New York during its formative years. Guilty pleasures include reading, films, chocolate, wine, Lady Gaga, and Patsy Cline. Jason Belz joined Kirshbaum Associates in 2000, having graduated from James Madison University with a degree in Arts Management and Arizona State University with a Masters in Oboe Performance. He is an active member of APAP's Classical Connections Committee, YPCA (APAP's Young Performers Career Advancement program) and is a member of the National Advisory Council for Astral Artists. Jason has served as juror for YPCA and Astral Artists and is a frequent guest speaker at universities and conservatories, leading lectures aimed to strategize career paths for young aspiring musicians. Besides music, Jason is an avid gardener and he loves to travel, having been to all lower 48 states and 4 continents so far. 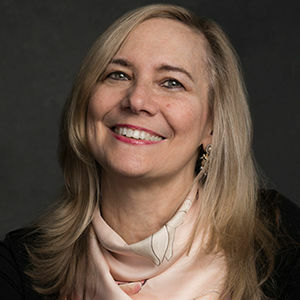 Peri Stedman joined Kirshbaum Associates in 1993 after graduating with honors from Smith College with a French Language & Literature major and a Music minor. Through her on-the-job experience in artist services she has honed her skills as a travel and event planner, program coordinator, immigration consultant, uncertified CPA and all-around concierge to our eminent roster of artists whom she is honored to represent. Outside of the office she enjoys traveling, attending concerts and cheering on her beloved Boston sports teams. Earning a Bachelor's in Composition from Shenandoah University, his music has been performed at Carnegie Hall and ATLAS Performing Arts Center; as a songwriter and trumpet player, he is especially fond of performing original music in private homes and unconventional spaces. Gregory's affinity for new music led him to New York City to work in music publishing prior to joining Kirshbaum Associates in 2015. A native of Baltimore, Gregory enjoys travel, excessively long walks and hikes, baking breads, pies, and cookies. Hannah Goldshlack-Wolf joined Kirshbaum Associates as a Publicity Associate in 2015 after several years working in arts non-profits. Born and bred in Michigan, she came to New York to attend the Juilliard School as a vocal performance major, later earning her Master’s of Music at Bard College’s Graduate Vocal Arts Program. Hannah loves traveling, long debates about books and movies, everything Schubert composed, writing, and hiking in the mountains. She and her husband live happily in Astoria. Xi Wang is a Publicity Associate for Kirshbaum Associates. Prior to joining Kirshbaum Associates in 2013, she received both Master's and Graduate Diplomas from the New England Conservatory with merit scholarships. As a concertizing violinist and entrepreneur, she has been featured in Münchner Merkur in Germany as well as in a series of major publications in China including Music Weekly, Young Performers Magazine, and the prominent People’s Daily. She has recorded two albums on Summit and Canyon Records, and her solo and chamber music performances were broadcast through NPR, KBAQ and WMRA. In 2015, she directed and produced the award-winning concert production “Sound of Unity,” and is the General Director of the Karwendel Music Festival in Mittenwald, Germany since 2016. Ashley Baier joined Kirshbaum Associates in 2007 shortly after moving to New York City. As a percussionist and drummer, she has performed on rock and concert stages across the country with a variety of orchestras, chamber groups, and artists including PitchBlak Brass Band, Pharoahe Monch, and Kermit the Frog. She holds an MM from the Mannes School of Music and a BM from the University of Maryland. A native of Cumberland, Maryland, she now resides in Brooklyn with her cat, Eve. Her favorite composers are Debussy, Stravinsky, and Trey Anastasio. Emma Biggert is a recent graduate of the University of Michigan where she received a BM in Musicology and a BA in Communication Studies. A pianist and former violist, her favorite composers are Bernard Herrmann, Chopin, and Prokofiev. Prior to joining Kirshbaum Associates, she interned in the production department at the Metropolitan Opera and spent a semester studying film music at NYU’s Tisch School of the Arts. A native of Massachusetts, Emma enjoys traveling, hockey, cooking and live music.